In recent years, as oil and gas (O&G) companies have experienced cost constraints and shrinking margins, the need for productivity and efficiency improvements has come to the forefront. 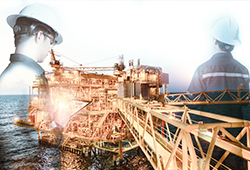 Operators want to increase well quality with safer operations at lower construction costs. The Digital Well Program™ solution digitally transforms how wells are constructed and delivered by combining the digitalized well design process with industry-leading engineering models on one single platform. The orchestrated design process and engineering models can be configured to each customer’s needs and applied to key well construction steps through microservices. With its built-in integration and process management capability, data is automatically assimilated to help accelerate business process management and to generate a fully validated and engineering-consistent well program. The Digital Well Program solution is a leading digital solution that consolidates the design process with the industry-leading Engineer’s Desktop™ (EDT™) software onto an open platform – the DecisionSpace® platform, powered by the iEnergy® cloud. It also delivers Software as a Service (SaaS) to enable automated well program generation and accelerated business process management by empowering a customizable and flexible well program workflow. This workflow is tailored to each customer’s unique well program workflow process through data integration and microservices. The Digital Well Program solution within the DecisionSpace Well Construction 365 enables O&G companies to create well programs with a clear vision of the correct engineering design. Using an offset well analysis from the operator’s historical well designs and execution, the current well design can refine critical technical limits and operator parameters while optimizing costs, along with health, safety, and environmental (HSE) concerns. This investment in upfront analysis enables additional optimization of key operational objectives to avoid nonproductive time (NPT) and invisible lost time (ILT) issues. The Digital Well Program solution helps improve the overall well construction processes by allowing fast and more accurate decisions in real time. Operational data captured during drilling and workover activities is stored to be utilized by the Digital Well Program for future well designs. This utilization of historical and real-time data improves lessons learned and provides guidance to achieve the optimal well design for future plans. The ability to integrate, automate, analyze, and optimize with real-time data is a major breakthrough in helping to successfully predict and analyze Invisible Lost Time (ILT) and Non-Productive Time (NPT) -- before they happen. The Holistic Field Development Planning® solution continually updates as constraints arise from the field and office during the project’s design and execution phases. 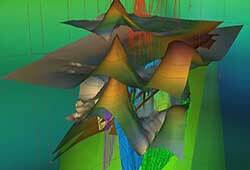 Maximize asset value by minimizing replanning cycle times and mitigating risks while drilling.